Contrary to the busiest schedules, social media applications like WhatsApp have made it easier to keep in touch with our loved ones. WhatsApp allows us to share text messages, photos, videos, GIFs, and a lot of important files. If are reading this article, there are greater chances that you have been using WhatsApp excessively for quite a time and now want to make a secure backup of all photos, videos, chats etc. Well, you’ve come to the right place. Of course, it is possible to save WhatsApp chat and media on PC using iPhone backups i.e. 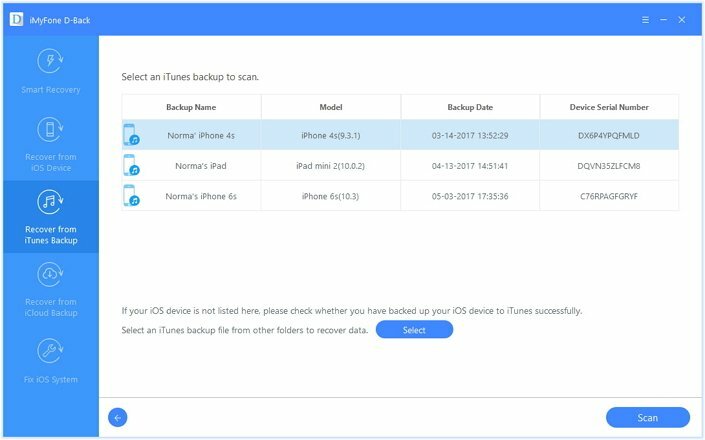 iTunes and iCloud backup, but iTunes and iCloud backups do not allow you to view the saved contents. In this scenario, a third-party software can come in handy. 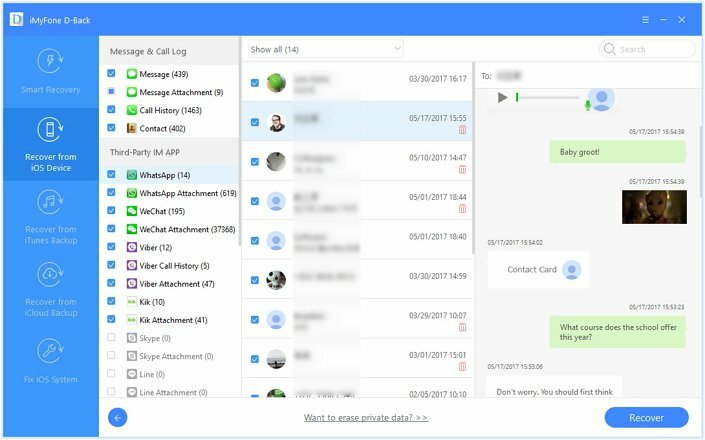 There are many professional tools that can help you save WhatsApp chats – here is the one which is highly recommended. Selectively or fully save the chats you need from WhatsApp on iPhone to PC. Save both existing and deleted WhatsApp messages and attachments from iPhone. Extract and save WhatsApp conversations you need from iTunes or iCloud without having to restore the whole backup. It supports other 18 file types from iPhone such as photos, contacts, messages, voice memo, notes and etc. Follow these steps to save WhatsApp chat on PC directly from iPhone without using backups. Step 1.Launch D-Back on your PC or Mac. Select the “Recover from iOS Device” tab and click “Start”. Connect your iPhone with the computer and click “Next”. Step 2.Select “WhatsApp” icon and click “Scan”. Step 3.After scanning, select the needed WhatsApp files (existing as well as lost data) and click “Recover” to complete the process. You can also view and save the WhatsApp chat available on iTunes backup or iCloud backup to PC with iMyFone D-Back, which iTunes and iCloud do not allow you to view the contents. Step 1. Click “Start” by selecting the “Recover from iTunes Backup” option. Step 2. Select the iTunes backup to look for WhatsApp chat and click “Next”. Step 3. Select the “WhatsApp” icon and click “Scan” to proceed. Step 4. Then you can preview the WhatsApp chat from iTunes backup after scanning. Select the files you need and click “Recover”. After these steps, D-Back will ask you to select a destination folder to save them. Step 1. Open D-Back and click “Start” after selecting the “Recover from iCloud Backup”. Enter login details to sign in to iCloud Account. Step 2. Select the iCloud backup with the relevant WhatsApp chat and click “Next”. 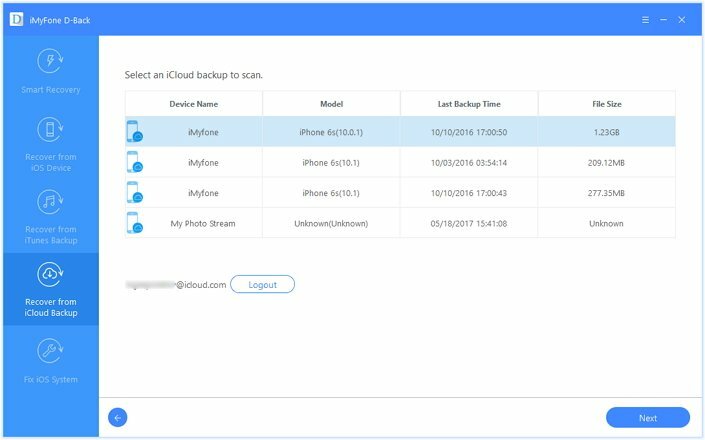 You can determine the correct iCloud Backup by looking at the date and time of each backup. Step 3. Select “WhatsApp” icon and click “Scan” to continue. Step 4. When the scan completes, D-Back will preview all WhatsApp chat results. 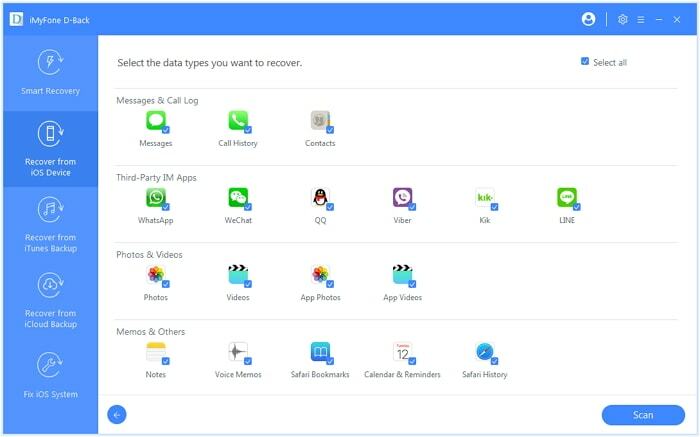 Select what you need from the WhatsApp folder and click “Recover”. 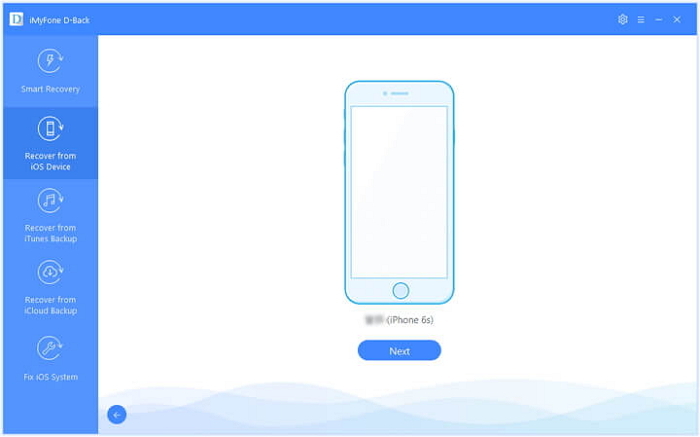 If you’re concerned about the security and safety liability of D-Back or hesitating to log in to iCloud, worry no more because iMyFone will never compromise on the users’ data. All user information and content are removed from D-Back’s database once the data recovery operation is completed. Note that iMyFone D-Back is trusted by over 2,000,000+ users and professional websites globally. The security features, utmost probability of data retrieval, and ease-of-use makes it one of the best iPhone tool of its kind. Step 1. Launch WhatsApp application. Step 2. Open the chat you want to save on PC via email. Step 3. Click on the contact name of the chat. Step 4. Tap “Export Chat” and select if you also want to move media. Now you can either use Mail or iCloud Drive to save WhatsApp chat. In case of chat, a Text file will be saved to your “Mail” account. In a nutshell, using iMyFone D-Back to save WhatsApp chat on PC from iPhone is certainly the best option. D-Back not only lets you save WhatsApp chat from iPhone, iTunes Backup, or iCloud Backups, it also allows you to save all chat threads at once. On the other hand, you must go through each chat thread individually to save WhatsApp chat on PC. Moreover, using mail to save WhatsApp chat on PC is also time-consuming. Every WhatsApp user finds it necessary to save important WhatsApp chats on PC from iPhone as an additional backup. So, do not hesitated to try the listed methods to save your WhatsApp chat on PC instead of waiting for an accidental deletion. For error-free results, make sure to follow the above steps. If you run into any problems, feel free to leave a reply below and we’ll be more than happy to assist.